Men’s health issues for over 50’s include an increased risk of contracting chronic and degenerative diseases and the consequences of a poor diet, lack of exercise, and an unhealthy lifestyle in the past. As I researched this article on men’s health issues, I discovered that there are a number of great websites from which to obtain comprehensive information about all aspects of men’s health. These websites use qualified medical professionals and medical research to source their information (links to the websites I use, either in my research or personally, are provided in the references section at the end of this article). 2. provide ongoing updates on other issues that have a particular impact on men’s health and well being e.g. smoking, excessive alcohol use, stress. This approach is consistent with my objective to provide you with a “one-stop-shop” for everything you need to know to design and maintain you long, happy, healthy and wealthy life. One of the fundamental problems exacerbating men’s health issues is that most men don’t like visiting their doctor or having tests done unless it’s absolutely necessary. – Men don’t tend to be as tuned-in to their bodies as women; so they don’t notice small telltale signs that things might be amiss. – The truth is, many men go to the doctor only when they feel sick or have a medical emergency — and that’s not nearly as often as they should. 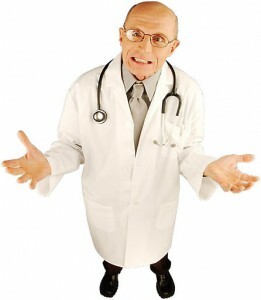 – I’m perfectly healthy, why should I get a check-up? – Thinking things will just get better with time or home remedies, is another common excuse. – Many men have the attitude that what they don’t know can’t hurt them. – Going to the Doctor is giving in to your nagging wife. – If men have, or suspect they may have, a sexually transmitted disease (STD) they will make excuses to shy away from medical scrutiny. – Men aren’t used to being probed and examined like women are (used in reference to a prostate examination and colonoscopy). – Another possible justification is fear – men don’t want to hear what they might be told, either finding out that something is wrong or showing vulnerability. – Some say that stereotypes about what’s “manly” have created a myth that going to the doctor or getting sick is a sign of weakness. – Experts believe there are also more culturally significant explanations for men’s reluctance to seek medical treatment. Unfortunately, skipping routine health checks and delaying visits to your doctor can be a matter of life and death. So I will also be trying to increase my subscriber’s awareness of the risks of not seeking treatment as soon as signs of possible problems arise. What are the top mens health issues or concerns in developed countries? Men die at higher rates than women from all of the above. 1. Chronic diseases or conditions that are most common in men, or biologically exclusive to men: prostate cancer, heart disease, lung cancer, stroke, chronic obstructive pulmonary disease, pneumonia and influenza, diabetes, kidney disease, chronic liver disease, cirrhosis, low testosterone, high cholesterol, high blood pressure. Many of the top 10 causes of death are preventable, and can be treated, if found early. WebMD examined the risk factors for five of the biggest killers of men: heart disease, stroke, suicide, prostate cancer, and lung cancer. They asked the experts why men were so vulnerable to these ailments and what they could do to reduce their risk of disease and death. I have briefly summarised their key findings below. (A link to the source information is included in the resources section at the end of this article). Although heart disease is the leading killer of both men and women, almost twice as many males die of conditions that affect the cardiovascular system, the MHN reports. According to the CDC, one in four men has some form of heart disease. It is the leading cause of death in the U.S. The average age of a person having a first heart attack is 65.8 for men and 70.4 for women. · Family history and race. People with family history of the disease have greater risk. Stroke is the third highest killer in the U.S.A, after heart disease and all forms of cancer. The incidence rate of stroke is 1.25 times greater in men than in women, although there is really no difference between the sexes as people get older, according to the American Stroke Association. Men are four times more likely to commit suicide than women, reports the MHN, which attributes part of the blame on under-diagnosed depression in men. Men account for nearly 8-in-10 suicides in the U.S. today, even though women are diagnosed more often with depression and make far more suicide attempts. According to the National Institute of Mental Health, more than 6 million men (in the U.S.) have depression each year. Pollack believes the number of males with depression could be even greater since men may show signs of depression in a manner different from many women. To help men with depression and to reduce the risk of suicide, doctors, loved ones, and men themselves need to recognize that society’s model of masculinity — to ignore pain –can work against men. Looking the other way may trigger depression and thoughts of suicide. Lung cancer is the leading cancer killer of both men and women, claiming more lives than prostate, colon, and breast cancer combined. The good news is that the rate of new lung cancer cases has been dropping since the 1980’s, and deaths from lung cancer have fallen since the 1990’s. Tobacco products are responsible for 90% of lung cancer cases, which puts the weight of prevention efforts on smoking cessation. According to the “National Institute on Aging”, as soon as you stop smoking, your chances of getting cancer from smoking begins to shrink, and you can prevent further damage to your lungs. Prostate cancer is the most common cancer found in men. 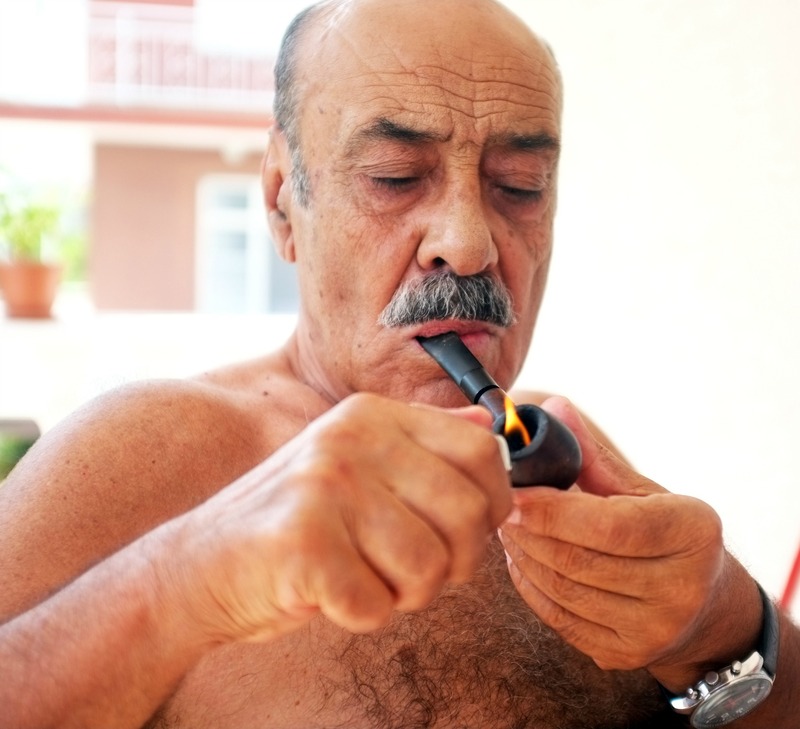 It is the second most common cancer cause of death in men, after lung cancer. There is not enough known about what causes prostate cancer and how to prevent it; yet the disease is treatable if found in its early stages. This can be a challenge, since prostate cancer victims often show no symptoms until it has spread to other parts of the body. The American Cancer Society (ACS) recommends a prostate-specific antigen (PSA) blood test and digital rectal exam be offered annually for healthy men starting at age 50 or older. Men who are at high risk — such as those who have a family history of prostate cancer — should begin testing earlier. According to Better Health Victoria, men should have regular health checks, saying that: “Even if you don’t believe you have any health issues, see your doctor twice a year for medical checkups to help you stay healthy and to pick up early warning signs of disease or illness. Doctors can detect many diseases in their early stages, including cardiovascular (heart) disease, diabetes and some cancers. Everybody is different. You may need other regular tests not listed here depending on your personal or family medical history. Your Doctor should be able to provide guidance. I hope you have found this overview’of men’s health issues helpful. To ensure that I make my ongoing updates as comprehensive and useful as possible, I encourage you to let me know when you find something of interest that I have not covered, by leaving a comment, in the “Have Your Say” box at the end of any of my articles, or by simply sending me an email at “[email protected]” with a brief description of the article or source of the information. Whichever of these two options you choose, if possible include a link to that information source. I will take a look at the information and if I believe it is significant, include it in my next update, with an acknowledgement to the subscriber who provided the information. This report explains what you need to know to design your very own long, healthy and wealthy retirement life.